Product prices and availability are accurate as of 2019-03-19 11:43:53 EDT and are subject to change. Any price and availability information displayed on http://www.amazon.com/ at the time of purchase will apply to the purchase of this product. 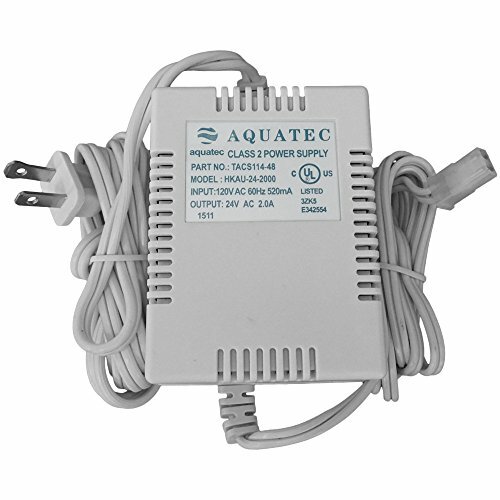 110v transformer plugs into standard 2 prong outlets (North American style) to provide the needed power for the Aquatec CDP 8800 boster pump. The ability to purchase the transformer only allows you to get just the part you need, ideal for custom setups or replacement. NOTE: This transformer is designed for the the CDP 8800 pump and 110v power supply. 220v transformers, transformers with different style plugs (international), and transformers for the CDP 6800 are also available online or by phone.